I am always learning. However, do I get to implement everything that I learn? Probably not, quite simply because there are not enough hours in the day. So, what should I do? Should I learn less? I actually work on this all the time. I used to consume books by the bucket load and I’ve slowed down on the books and I’ve narrowed the focus of what I am learning. I listen to a lot of podcasts and I like to review them to give you a better view of what’s out there. However, for the ones that I listen to constantly –they are centered around the areas of marketing and what I love . So, where do we learn? We learn through podcasts, e-books, books, audible books there are free online courses such as Ted talks, YouTube videos galore, and then of course they are just basic emails, email newsletters from people, and there are blogs. Some of the blogs that I read are annoyingly infectious based on the amount of information I give. I have to read more but at the same time, like I say, if I don’t actually use that information who uses it? Now, I know at this point I would be coming out with a fantastic Jim Rohn quote. Unfortunately, I can’t remember it but it had something to do with the fact that if you learn and you don’t implement, you might as well not bother. First off, I recommend that when you are learning, try and learn things that are going to make you better at what you do. If you don’t need to know about it, don’t learn about it. If it’s something new, a new skill you want to develop, learn as much as you can about it but, don’t just learn to do it. I have a few mentors people that I follow and I try to do what they do. I spent quite a bit of time learning about five or six of them and most of what I do comes from following them because I learned little tidbits and things from others. The main practice is from them because I can’t follow everything that everyone does. I have to draw the line but I’ve learned from these people for a few years because they are consistent. They’ve been going for years and I know that they are very good at what they do and their stuff is applicable to me, so I pick it. It doesn’t matter whether it’s podcast, book, YouTube –I will follow them but I make the effort to do it. Now the other thing is I use a theme so some of these systems. They will say, “Do this, do that.” I would then test it, write down what I’m doing, and then outsource those tasks to people on Freelancer, on Fiver, on E-lance (which I think they are changing their name to upworthy,com because they merged with oDesk a long time ago). I’m working on it, you should work on it, but the most important take away here is just don’t over learn and never implement what you are learning. Use all these tips that I tell you about. How many of these tips have you actually tried? How many of them have you said, “I’m going to do that this week, I’m going to do that today.” Don’t just listen, but do. Thank you. 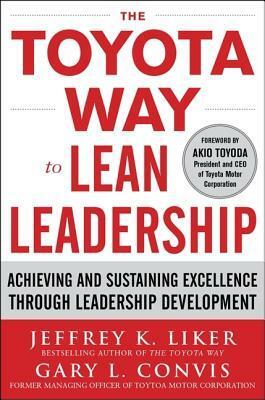 Today I am going to recommend you read The Toyota Way to Lean Leadership written by couple of guys — Jeffrey Liker and Gary Convis. Jeffrey Liker wrote the Toyota Way and Gary Convis actually was a production manager of the Toyota plant in North America and implemented a lot of strategies. Now Toyota, as probably you are aware, is the biggest car manufacturer in the world and I think it’s taken them 80 years from standing up. They did it by designing their own production system called TPS, or the Toyota Production System. It may sound to you like something that couldn’t be further extracted from your business but it’s the principles that they apply. It’s genius, it really is clever. I got through it and there are things that made changes in my business. My fire safety business is a warehouse with them, so I’m listening to manufacturing business information but there are things in there that made a difference. Read it, you will learn! Like I said, Eric Riser learned so much he wrote the book and it started a world movement and it all comes from good old Toyota. 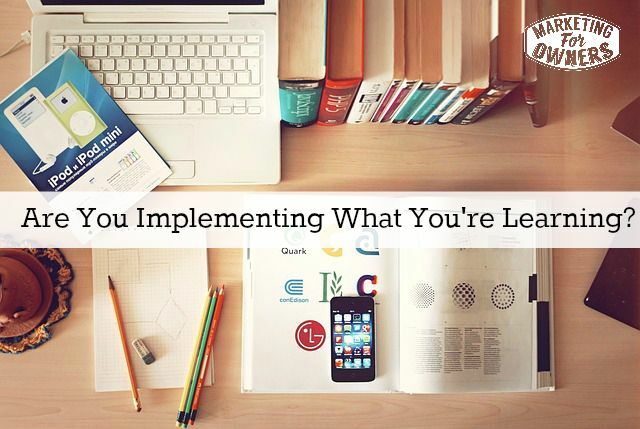 What have you learned recently that you need to implement?